The Linuxlookup review rating system is comprised of several categories. An individual category is used to classify the product by type so that we may then apply unique rating criterias. Each criteria has a 5-Star rating associated with it. High star values represent a better score, while lower star values indicate poorer. 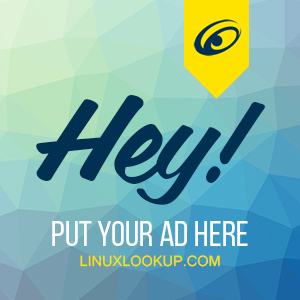 Exceptional products that win us over are issued the LinuxLookup.com Editors Choice Award. Performance Performance is an assessment of the execution or efficiency in which it fulfills the intended purpose. Compatibility Compatibility simply rates the products amalgamation with Linux. Stability Stability is an appraisal of the resistance to change, sudden change or deterioration while in use. Cost / Value Cost & Value is an opinion of worth based on purchase price. Cases where the product is Open Source under the GNU license (free) this rates value of possession. Technology Technology is a judgment of the product technological process, invention, method, or the like. Innovation Innovation evaluates the product level of modernization, originality and introduction of something new. Installation Installation reflects how well the installation procedure executes, placed in position or set for use. Documentation Documentation indicates how well written and graphic materials outline the use, operation, maintenance, or design. Ease of use Ease of Use suggests how intuitive the product was to use. Content Content determines a rational opinion on how well the topic at hand is covered. Approach Approach is an opinion on how well the method used or steps taken in setting about a task was covered. Learning curve Learning curve outlines how well the information would be absorbed from a novice point of view. Game play Game play reflects the user interface, control, storyline and interaction. Graphics / Sound The aesthetic quality of the game, music and sound effects. Replay value The fun factor, indicating if this title will keep you coming back for more or collect dust. Overall This gauges how we rate the product as a whole.